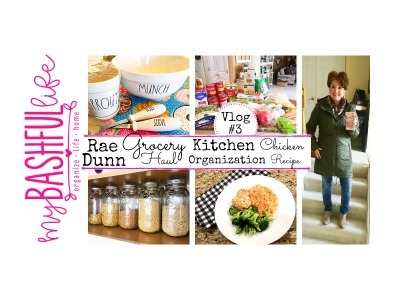 Grocery, Rae Dunn & Target Haul Kitchen Organization and Chicken Recipe! Hey Everybody! 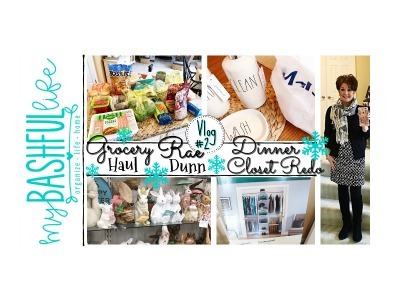 Today we are celebrating a Snow Day with a Rae Dunn, Grocery and Target Haul, I share a great kitchen organization project and as always, a great dinner recipe! 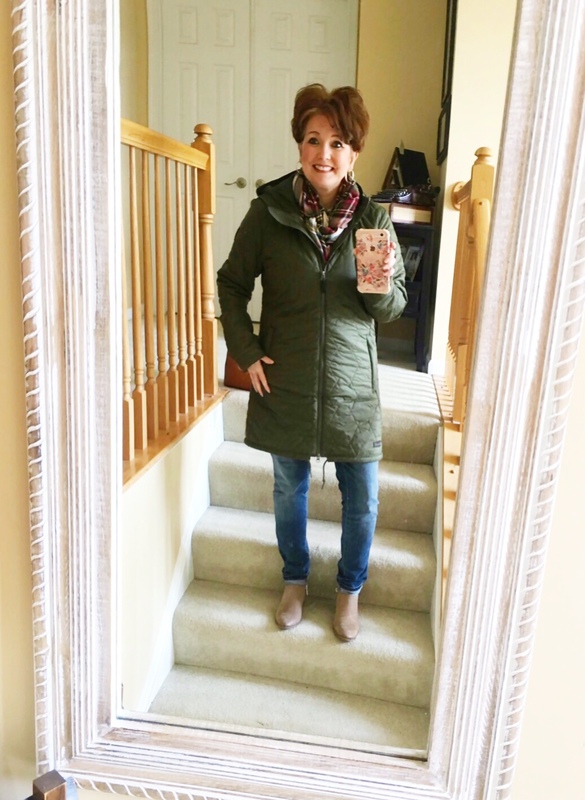 I thought I would start today with my exciting OOTD! We had ice earlier this morning so I am dressed for the weather in my new coat from Columbia, not favorite Target jeans and my Franco Sarto booties. 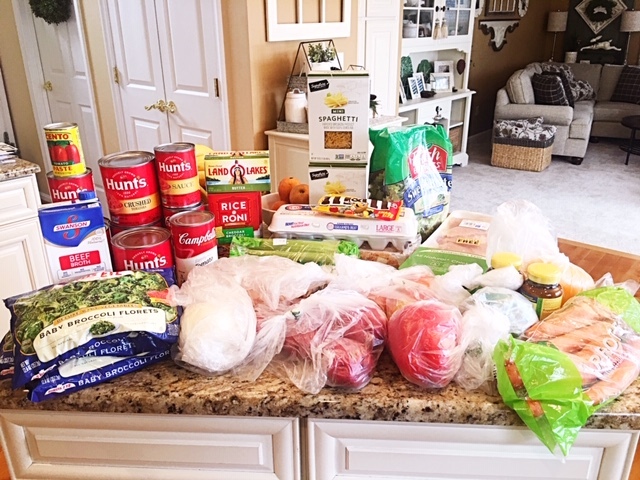 I headed out to my local grocery store with a list of meals I wanted to make this week and to have on hand for the upcoming weekend. 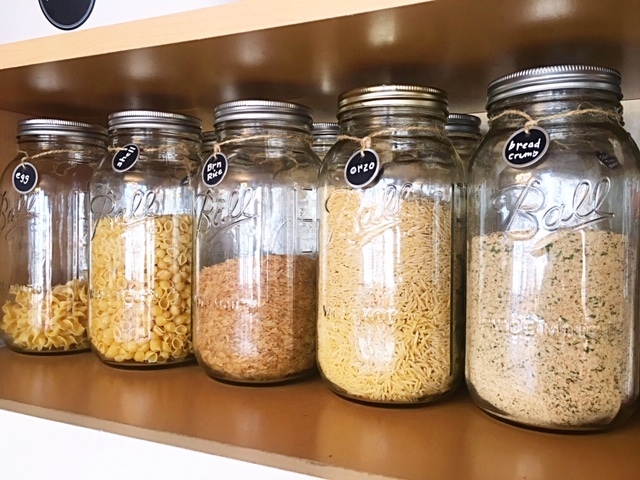 I got so many questions last week after my Pantry Organization video about how I store my canned goods and dry goods. So since I was putting away the groceries I thought I would share how I use 1/2 gallon Mason jars to store things like pasta and rice. 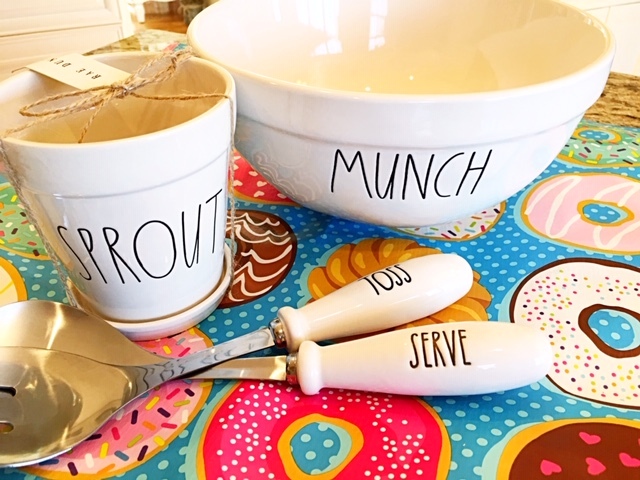 How cute are these new Rae Dunn pieces that I found at Home Goods today? Best way to end the day is with a good meal! 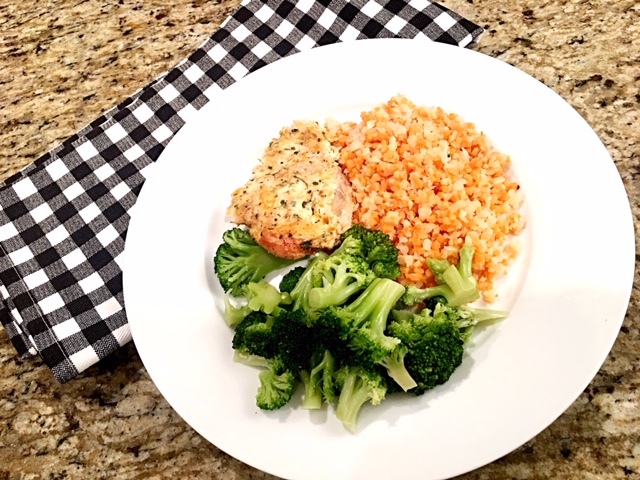 I love a great chicken recipe and this Saucy Chicken is not only simple but delicious! Saucy Chicken Recipe ************************ 2-3lbs of boneless chicken breast S/P 1/2 tsp paprika 1 cup sour cream 2 tsp garlic powder 1 tsp Mrs Dash 1 tsp parsley flakes 1 cup shredded cheese or grated Romano cheese Place chicken in a prepared baking dish. Season with salt pepper and paprika to taste. In a bowl mix remaining ingredients and spread on top of chicken. Bake in a 375 oven for an hour or until chicken is cooked through. Place under the broiler for a few minutes watching closely until browned and serve over rice. For full details watch the video below! 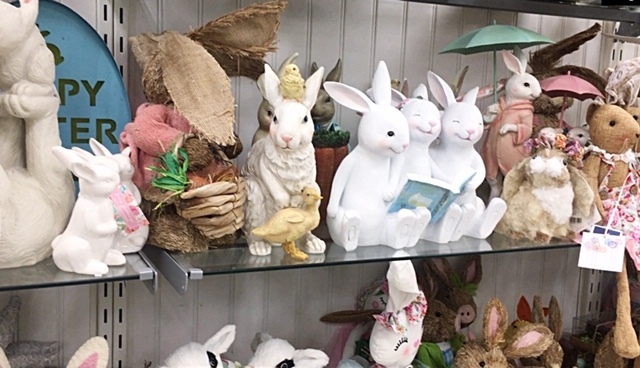 Thank you so much for watching and if you are new here, I hope you will subscribe, I put out new videos each week about all things home! 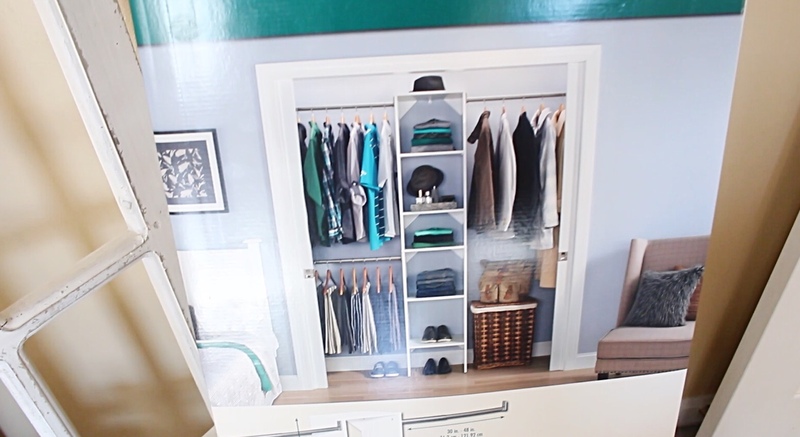 In this declutter and organizing video we are tackling the linen closet! 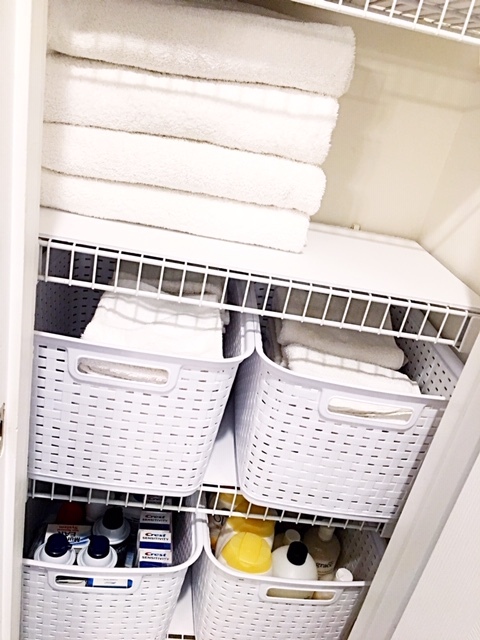 This is on of the spots in my home that is a continuing struggle to keep neat because it holds way more then just linens! 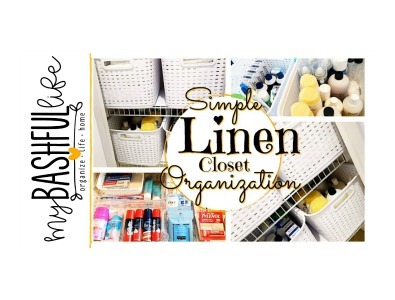 For organizing in this closet, I have utilized some colorful bins from the dollar tree and some white bins form Target. 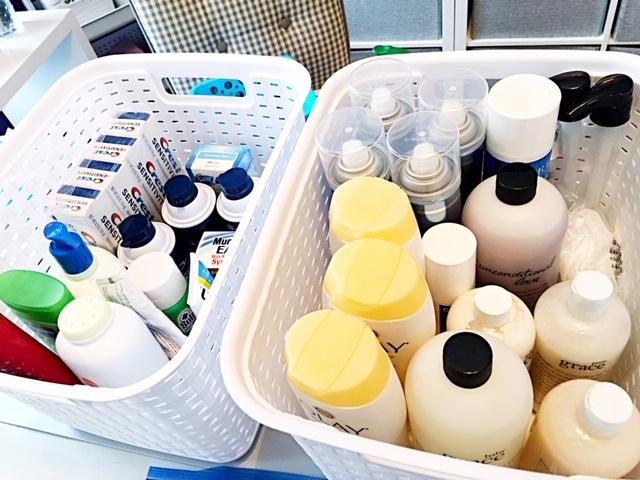 Although I like the idea of separating all of our products, the Dollar Tree baskets are way too small and become over stuffed too easily. 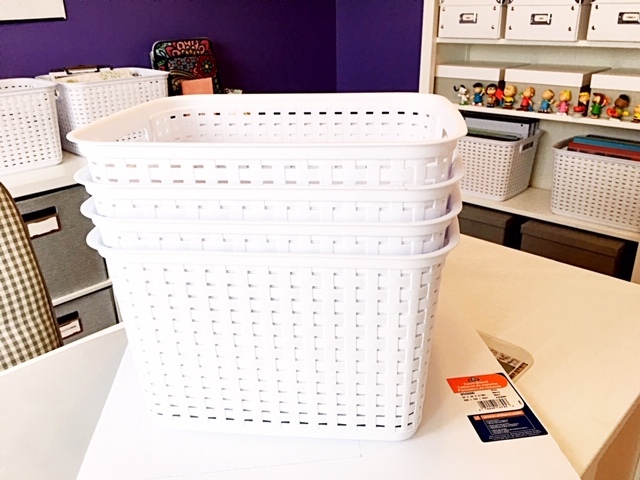 The white bins are really a great size and I like the white color in a linen closet because it just makes everything clean an bright! I am very happy with the way this project turned out and I think by reducing what we have and donating what we no longer need has been the key to creating a space that functions easily and suits the needs of our family. For more details on this project, check out the video below! Thank you so much for watching today and please don't forget to subscribe, I would love to have you all back as part of our YouTube family. 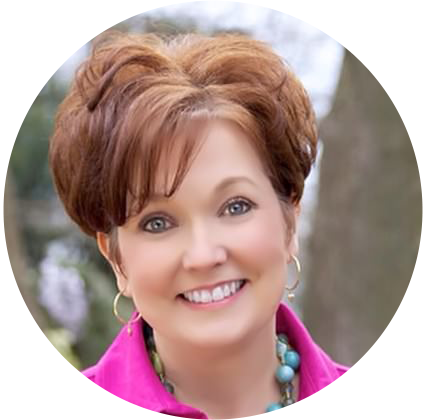 If you would like to see more of these videos, please give this one a thumbs up and share with your family and friends! Come along and spend the day with me! and of course, what I am making for dinner! 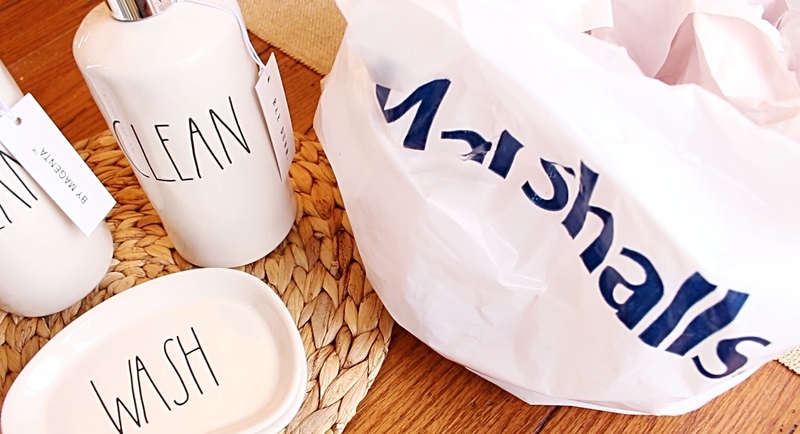 If you are new here, I hope you will subscribe, I put out videos each week about all things home! 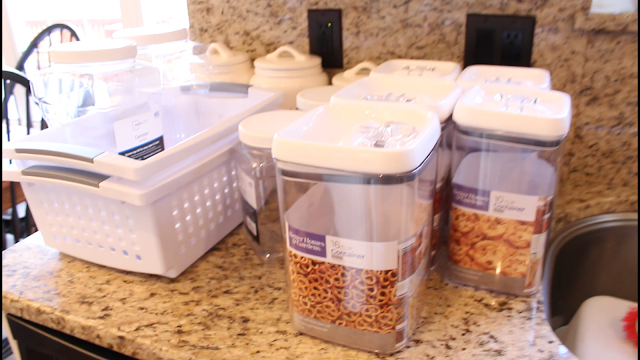 In this first video in my new the de-clutteer & reorganize series, we begin in the kitchen with my teeny tiny pantry! 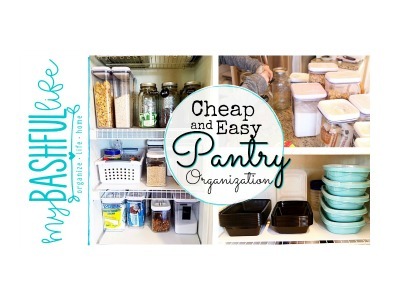 This pantry has always been a challenge for me to keep clean and organized. I did not want to spend a lot of money o this project so I went to Walmart to find some budget friendly food containers and some kind of solution for those awful wire shelves! We all have spots in our homes that are an organizing challenge and in this series we are going to find some problem solving solutions to create functional spaces for our families! To see the full transformation watch the video below! Thank you so much for watching and if you are new here please take a minute to subscribe, I put out new videos each week about all things home! Meal Prepping for the Week is great because it can help save time you during the week and can help insure you eat healthier meals. Doing a little prep work early in the week will pay off everyday at lunch and dinner. 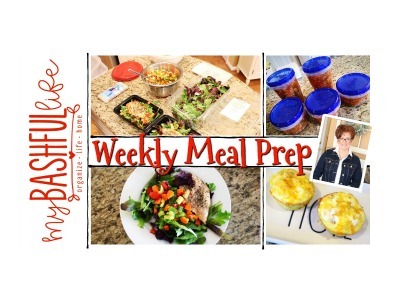 Let me show you how easy it can be to meal prep and eat healthier! 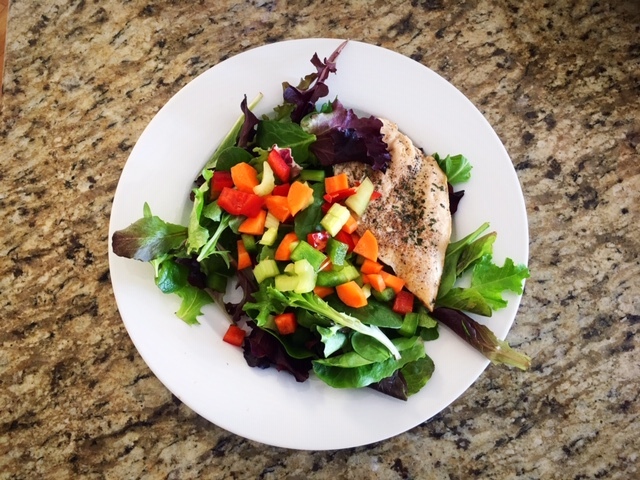 One of our favorite lunch time meals is grilled chicken salad. On Sunday afternoon I season a few packages of thinly sliced chicken breast and grill them up for meals during the week. 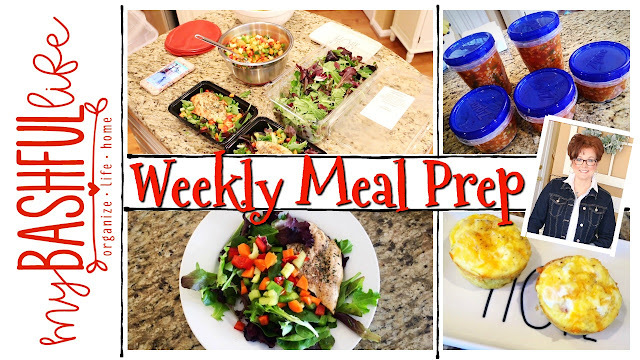 Whether for lunch or dinner, a little meal prep early in the week can save time and money all week long! A few containers of soup in the freezer can feed a hungry crowd today or next week. This recipe is very forgiving! 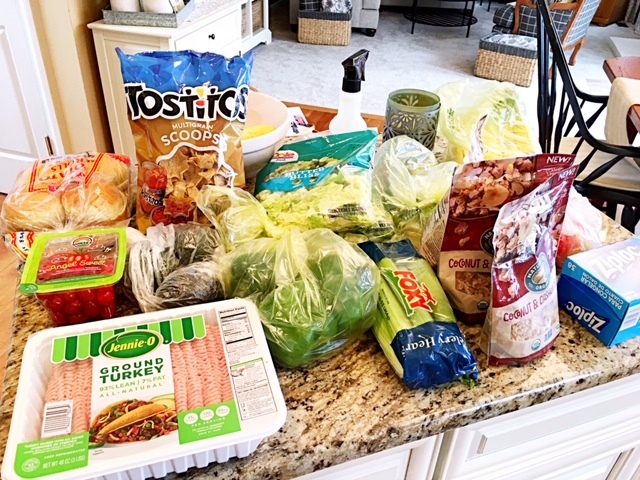 You can swap out any of the ingredients and add whatever your family likes! Melt oil and butter in large stock pot. Saute celery, onions and garlic until they begin to soften. Add carrots and potatoes combine and cook together 5 minutes. Add wine and let cook 3 minutes. Add crushed tomatoes, veggie broth and seasonings, bring to a boil and cook 10 minutes. Add frozen veggies and return to boil, reduce heat and simmer covered for 30 minutes or until potatoes and carrots are soft. Return to boil and add pasta and boil until pasta is done. Add chopped parsley and SERVE! Watch the video below for more tips and recipes!